The Nexus 7 is the most successful Nexus device and probably the best-selling gadget on Google’s Play store, and both the original Nexus 7 and the second 2013 generation were manufactured by Asus. Now, Google might have decided to switch partners and drop Asus in favor of LG, according to analyst Ming-Chi-Kuo. Asus and Google have obviously enjoyed a healthy and fruitful company and Google even put Asus’ logo on the back of the original Nexus 7. What would force a change then? Turns out Google might want to use LG so that it can upgrade the Nexus 7 screen and LG has that technology. LG is already manufacturing the Nexus 4, so it would not be a huge surprise to see Google partner with the Korean company. Google has already made huge advances in screen technology with the 2013 Nexus 7. The 7-inch tablet is the first one in its form factor to feature a ‘Retina’ display. LG is right now making screens for Apple devices like the iPad mini and it has managed to deliver displays that are thinner and with narrower bezels. We’ve also long been hearing about LG now having the upper hand in the race to the first flexible display. It’s all a speculation at this point in time, but the possibilities are definitely there. What would you expect from the 2014 Nexus 7? As long as they don't increase the price range is all good to me. LG won't be able to keep the price under control as ASUS is doing. I hope Google think twice before going into a deal. Nexus 4 is another thing shouldn't be compared with a tablet. Hey if they could do the Nexus 4 starting at 300, I'd think they could do 230 for a tablet. Besides, LG said they wanted to get into the tablet market and presenting a quality Nexus tablet could give them that jumping start. I hope it is LG though -- they really do have great hardware and quality build standards. i love nexus 5 to be Sony branded. that would be awesome. If that would be Sony-branded, I'm sure Google can't cope with the price Sony will be asking. Sony makes gadgets with a very very outstanding design and quality which is, for me, not worth $200 hahaha. I mean, let's face it, Sony has the best looking phones from Xperia Z, ZL, ZR etc... HTC One too. The high price tag seems to happen outside of Asia. Usually, Sony phones are actually cheaper here compare to other brands. Nonsense... this is just nonsense. The Nexus 7 has just been released and this is only a prediction of some analyst based on... nothing. I understand that these analysts must earn their living, but this is just pure speculation without the faintest sign of an evidence. What's more, the ipad mini display made by LG is 1024x768, which is even lower than the first gen nexus 7, so the fact that LG is currently manufacturing the ipad mini display is totally irrelevant. Google has already reached the maximum resolution that the eye needs for a 7'' tablet, so why would they need a screen enhancement? Of course Google might change the nexus7 manufacturer in 2014. They've always done it: first HTC, then Samsung, then Asus and LG... everyone had its slice of the cake. But LG does not even have a tablet on the market now, and so they don't have a great experience with tablets, they will manufacture the new nexus4 and their market share is rising, so they don't need any help. Guess who will be next in my opinion? Acer. LG will be launching a tablet soon (G Pad), and LG makes one of the best displays (IPS), it can compete with AMOLED. So LG is the best choice for Google. 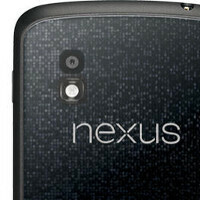 Most likely, if they will make a Nexus, they will make the Nexus 10. Nexus 10? I think it will be great if samsung will produce the next genertion. Exynos 5 octa 2nd in a normal price. The New Nexus 7 is awesome. It's actually so perfect the next one should be a Nexus 8 to be a viable upgrade. If LG make the 3rd nexus 7 I will not totally buy it coz here in Philippines LG use higher price like Nexus 4 instead of $300 it become $600 unlike Asus their 1st Nexus 7 $200 it become $250 >. Honestly LG made the best Nexus phone till date. I think Asus is doing a good job when it comes to tablets. I tought about something - Nexus 4, Nexus 7 (1st), Nexus 10 - each one of them have different proccesor of different company. Nexus 4 - S4 pro (Qualcomm), Nexus 7 (1st) - Tegra 3 (Nvidia), Nexus 10 - Exynos 5 dual (Samsung). But now the new Nexus 7 have the same proccessor as the nexus 4 - S4 pro. What does it say? Sounds like a bad idea for us cost wise, and what about a new nexus 10, Google? How about bringing it to CDMA networks this time? Isn't this the same analyst that said the new Nexus 7 was going to be a flop? The one that's sold out in a lot of places?